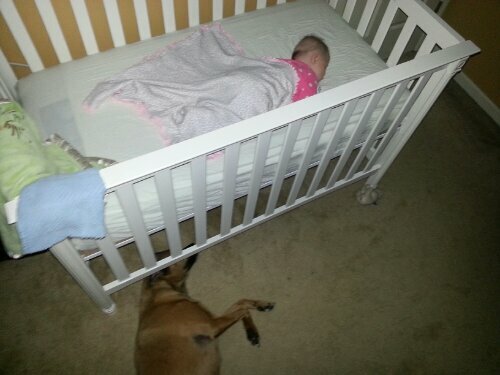 For the last 5 years Hannah (my dog) would always sleep in bed under the covers next to Daddy. Recently she has found a new place to sleep and I am not happy about it. 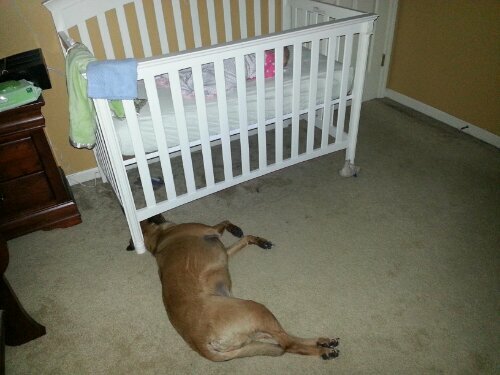 This entry was posted in Baby stuff and tagged Kendall DiMartino, puppy love. Bookmark the permalink. Now you are beginning to see where you really rank. It is becoming more apparent to me every single day.